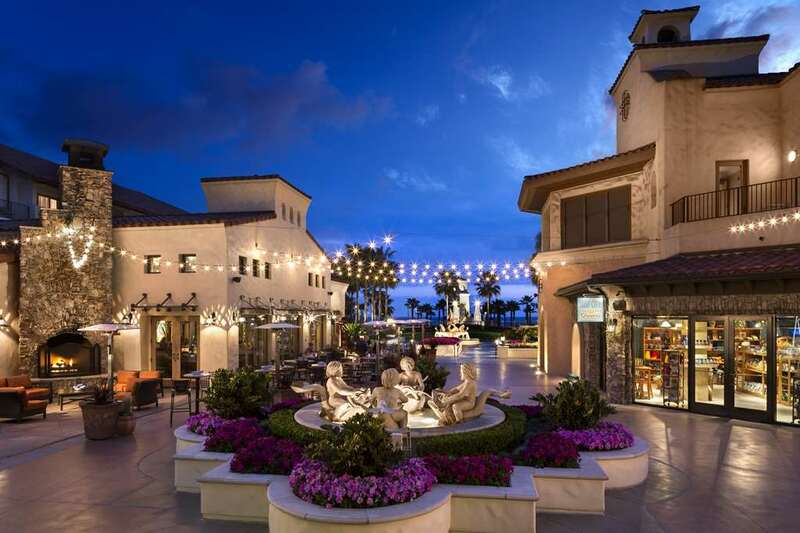 Located in the seaside community of Huntington Beach, "Surf-City USA", the resort enjoys 2,000 feet of beach frontage offering spectacular views of the Pacific Ocean. A pedestrian bridge makes beach access incredibly convenient. 517 guest rooms offer a casual elegance and feature luxurious appointments and amenities, each boasting a private terrace. The resort offers an award winning spa and two pools including a childs water playground. Surf lessons, bike rentals, seasonal Disney shuttle, beach amenities are just some of the exciting activities available. Multiple dining options including 24 hour in room dining and an on property grocery store. Watertable: Watertable has a sophisticated vibe, contemporary design and features seasonal, regional grill centric American fare, paired with a distinguished selection of world class wines, craft brews and artisanal cocktails. Pete Mallory s Surf City Sunset Grille: Pete's is all about 'the surfer' in us all, serving ecletic surf fare from around the world. Surf City Grocers: This gourmet grocery store offers everything from picnic lunches and pastries to Starbucks coffee and wine. Red Chair Lounge: The perfect place to unwind and sit by the fire while enjoying a variety of infused martinis, signature cocktails and premium spirits. Located in the seaside community of Huntington Beach, along the Southern California coast. The resort enjoys 2,000 feet of beach frontage offering spectacular view of the Pacific Ocean. Easy access to both Los Angeles and Orange Counties. Three area airports within 40 minutes. Aquarium of the PacificOne of the largets aquariums in the US. Its 550 species fill 17 major living habitats along with 30 smaller exhibits that cover the Pacific Oceans three regions. Catalina IslandThis beautiful Island is just off the coast and makes a great day getaway. Enjoy hiking, biking, horseback riding, golf, snorkeling, scuba diving and plenty of sight seeing. DisneylandThe worlds first and best loved theme park, nicknamed 'the happiest place on earth' showcases more than 60 rides, 50 shops and 30 restaurants. Knotts Berry FarmThis landmark theme park began as a berry farm during the depression. Now you can see more then 150 attractions, restaurants and shops scattered throughout it's six themed areas. Queen MaryThis permanently docked cruiseliner is one of the most famous ships in history.